Remodeling a kitchen is a lot of fun for the homeowners, professionals, and ProSource® because of the incredible expertise, products, and prices available at ProSource of Stamford. Kitchens are one of the most frequently used rooms in a home, which is why it’s often a big deal to remodel one. ProSource listens closely to the desires of both trade pros and their homeowner clients to make sure we find the best products at budget-friendly prices. 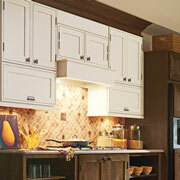 Choosing kitchen cabinets is more than just choosing a color. You can also shop by construction type, door shape, and wood shape. ProSource leverages international relationships to deliver a wide array of styles, sizes, and price ranges for a thorough cabinet selection. 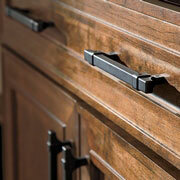 Cabinets aren’t complete without the right cabinet hardware. Whether your client wants traditional knobs or more contemporary and artistic handles, ProSource can help you navigate the catalog to find the right color, material, and style to boost the cabinet look. 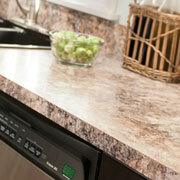 Kitchen countertops see a lot of wear and tear in the kitchen. Not only should kitchen countertops be durable and stable, they should be beautiful and a focal point for the kitchen project. 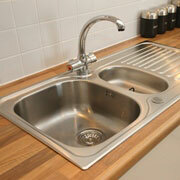 The kitchen sink does a lot of washing and prepping, so it should be fully equipped to handle the load coming its way. ProSource carries a wide selection of sinks, including single-, double-, and triple-sectioned bowls for the best use. 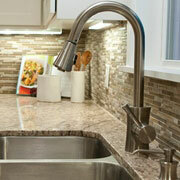 Lastly, the kitchen faucet brings the sink to life. A sink is just another place to store things without a working faucet. From the traditional faucet flow to unique and elaborate handles and functions, you can count on ProSource to have the different faucet styles, colors, and functions that fit any design.